Jachin-Boaz is a maker and seller of maps. In his shop you can find maps that will lead you to whatever it is you most desire: love, inspiration, money. But his greatest work yet is a master-map which he intends to give to his son, Boaz-Jachin. On it is marked everything that has ever been found; with it, his son will be able to find anything he wants or needs. Only one thing cannot be found using this map: lions – for there are no more lions. Or are there? When Jachin-Boaz leaves his family to set out on a quest to find a lion for his son, Boaz-Jachin follows in search of his father, and both will discover something wholly unexpected. Russell Hoban’s first novel for adults, The Lion of Boaz-Jachin and Jachin-Boaz (1973) was widely acclaimed by critics and earned comparisons to the works of Tolkien and C. S. Lewis. 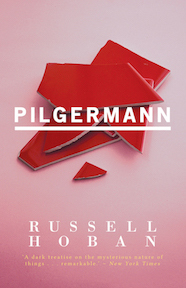 Both a humorous and light-hearted fantasy and an insightful meditation on the sometimes difficult relationships between fathers and sons, it is a perfect introduction to the work of this brilliant writer. Russell Hoban was born in Lansdale, Pennsylvania in 1925, the son of Ukrainian Jewish immigrants. After high school, Hoban attended art school in Philadelphia and served in the army in Europe during the Second World War, earning a Bronze Star. He married his first wife in 1944 and worked as a commercial illustrator, storyboard artist and television art director from the late 1940s until 1957, and for the next decade as a freelance illustrator for magazines and advertising agencies. In 1959, Hoban began publishing children’s books; he would write several dozen over the next few decades, the best known of which are the series of books featuring Frances the badger and the classic The Mouse and his Child (1968). In the late 1960s, Hoban moved to London, in part, he said, to summon inspiration from the ghosts of Victorian England. There he began to write the adult fiction that would define the rest of his career. His first novel for adults, The Lion of Boaz-Jachin and Jachin-Boaz, was published in 1973 and earned favorable reviews and comparisons to the fantasies of C. S. Lewis and J.R.R. Tolkien. 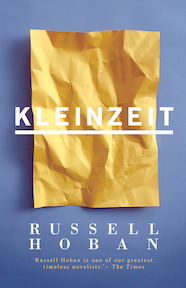 It was followed by Kleinzeit (1974), a surreal and comic novel that is among his best loved and of which Hoban said, “I think there’s most of me in Kleinzeit.” The post-apocalyptic Riddley Walker (1980), told in an invented future dialect of English, is regarded by most critics as Hoban’s masterpiece and is considered by many to be one of the great English novels of the 20th century. Other notable works include Turtle Diary (1975), adapted for a 1985 film version starring Ben Kingsley and Glenda Jackson, the metaphysical fantasy Pilgermann (1983) and The Medusa Frequency (1987). Later in life, Hoban began to publish novels at a more prolific pace, producing an additional ten volumes after age 70. Regrettably, many of these remain unpublished in the United States; however, several of them, including Fremder (1996), Amaryllis Night and Day (2001) and The Bat Tattoo (2002) are extraordinary and deserve rediscovery. 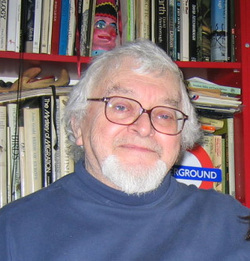 Russell Hoban died in 2011 at age 86.